The professionals’ choice and our premium garden brand.Simply the best compost bins and water butts available. 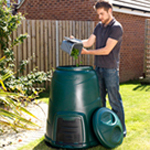 All Harcostar® water butts and compost bins are made from 75% recycled content and come with a 5 year guarantee. A full range of affordable environmental products to encourage sustainable behaviour in the home and garden. 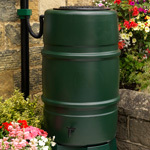 All BeGreen® water butts and compost bins are made from at least 75% recycled content and come with a 5 year guarantee.